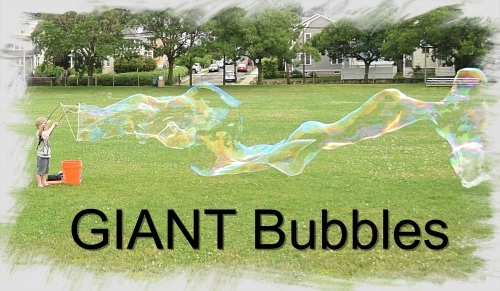 Giant bubbles re-define what is normal and possible. They are also cheap, fast to setup, and very fun for everyone big and small. Do this at the park on a Saturday morning with donuts, milk, and coffee… the cool calm and humid conditions are perfect for bubbles, and you will be amazed at all the smiles. (no change) – distilled water – no minerals? 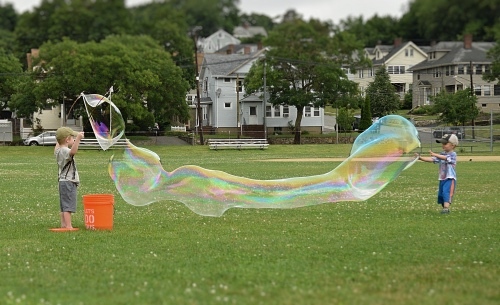 A bubble is soap-water-soap, so they will be 3- to 5-times larger and last twice as long on a cool humid morning compared to a hot dry afternoon. My boys love chasing all the bubbles down and popping them. 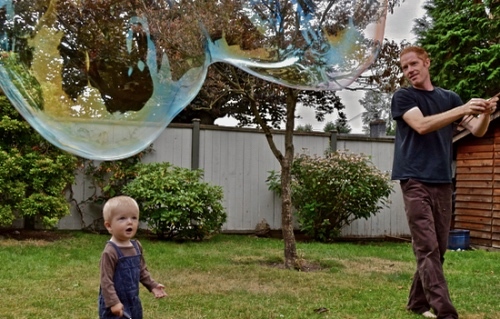 I did my very first ‘big bubbles’ about 2 years ago for my nephew — he looked up into a large bubble as he popped it… and then cried for half an hour. 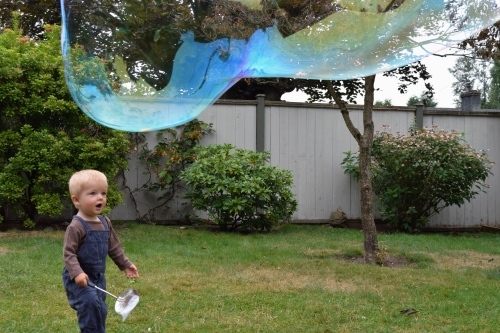 We understand the importance of making that first experience a good one, so make that first bubble attempt with hats on a cool morning with light breeze. The smaller bubble sticks also make the setup light enough that even my 3-year old can easily lift the setup and make his own bubbles. Tagged $, fun 3/5, nature 1/5, time 1h. Bookmark the permalink. (smiling) Glad you liked it!